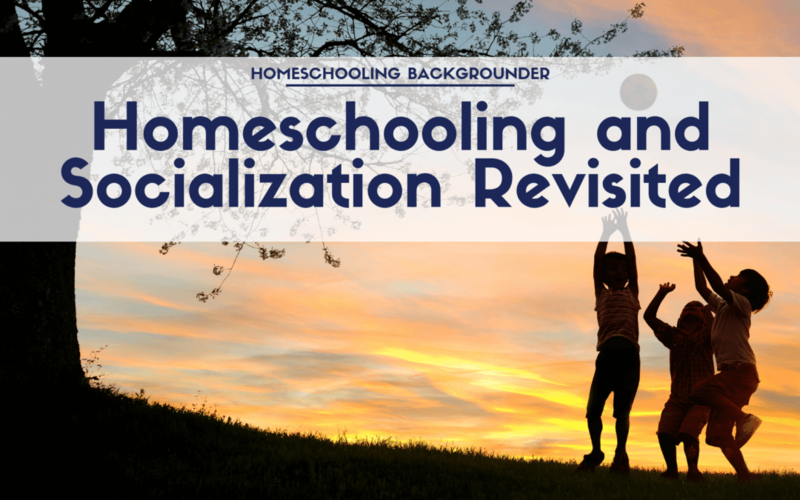 This article reviews recent research on homeschooled children’s socialization. The research indicates that homeschooling parents expect their children to respect and get along with people of diverse backgrounds, provide their children with a variety of social opportunities outside the family, and believe their children’s social skills are at least as good as those of other children. What homeschooled children think about their own social skills is less clear. Compared to children attending conventional schools, however, research suggest that they have higher quality friendships and better relationships with their parents and other adults. They are happy, optimistic, and satisfied with their lives. Their moral reasoning is at least as advanced as that of other children, and they may be more likely to act unselfishly. As adolescents, they have a strong sense of social responsibility and exhibit less emotional turmoil and problem behaviors than their peers. Those who go on to college are socially involved and open to new experiences. Adults who were homeschooled as children are civically engaged and functioning competently in every way measured so far. An alarmist view of homeschooling, therefore, is not supported by empirical research. It is suggested that future studies focus not on outcomes of socialization but on the process itself.